The Strange Doors is a Doors tribute band that takes you back in time by recreating the sights and sounds of the legends you know and love. This band doesn't just replicate the studio versions of Doors classics; they actually recreate the live Doors experience. Here you will find ad-libbed poetry, a singer that jumps into the air and writhes on the floor (whilst conjuring the Lizard King with his rich baritone voice), jazzy organ solos, bluesy slide guitar and powerful, yet subtle drumming that punctuates the music and vocals. 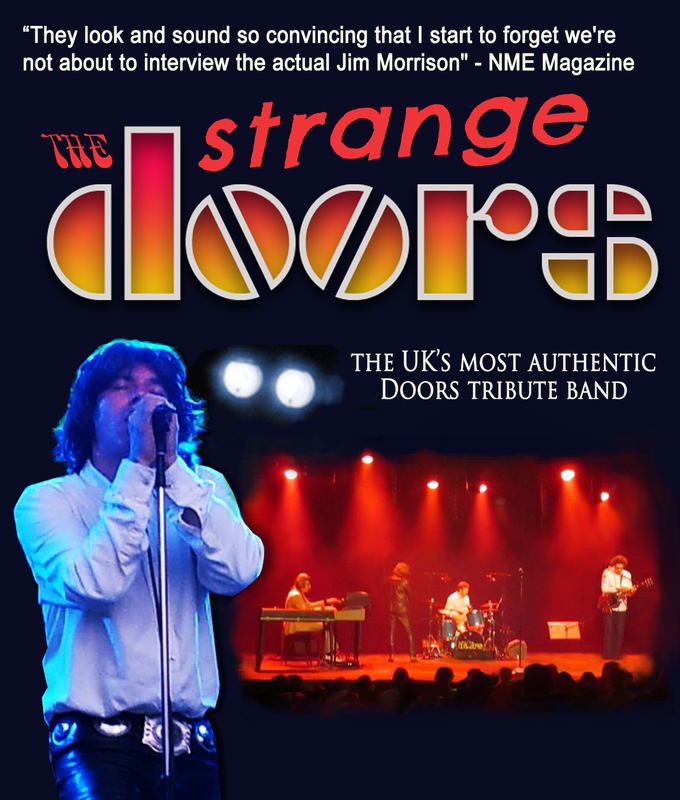 Like a gig by the real Doors, and unlike other Doors tribute bands, a Strange Doors gig has an air of unpredictability... audiences are kept guessing what to expect next. The singer is completely spontaneous and the band always follow him, taking the audience to places unknown. No version of "The End" is ever played the same way twice. The atmosphere is charged with the darkness and feeling of menace that only Doors music can provide.